Packages are scattered on the ground behind a UPS truck in Center City Philadelphia, Dec. 16, 2016. United Parcel Service Inc. is reportedly considering breaking into the health care industry. The package delivery service will test a service in the United States using nurses to vaccinate adults in their homes, according to Reuters. This new foray comes as the company and its healthcare clients work to fend off cost pressures and competitive threats from Amazon. UPS did not provide details on specific vaccines, but Merck & Co. told Reuters it may partner with the company on the venture . 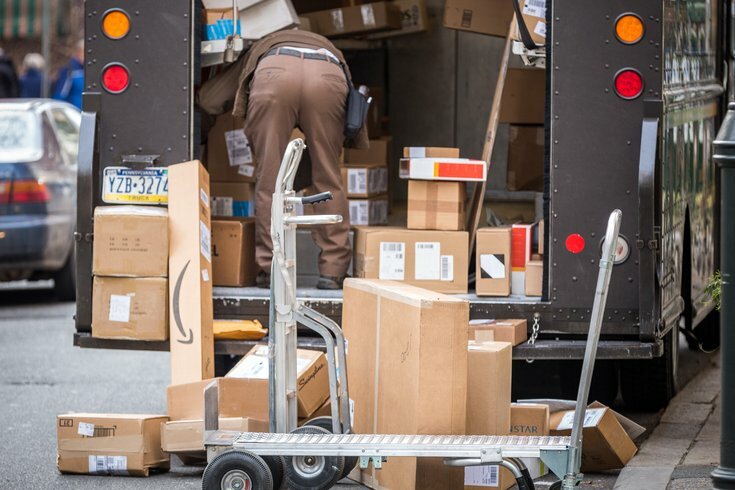 Testing will launch later this year, but it's not considered a slam dunk for UPS, according to the news agency, which reported that Marken’s CEO said it must be able to persuade health insurance companies to ante up for the service.